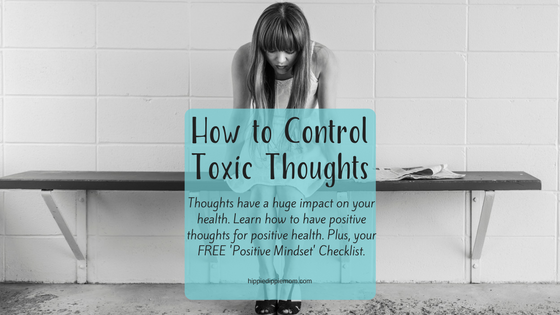 As a former pessimist who still occasionally struggles with negative thoughts, I know first hand how these toxic negative thoughts can harm your health. I was stuck in the cycle of my negative thoughts that led to negative feelings that led to bad choices that led to poor health. Send me instant access to the library full of healthy Freebies! 6am - Wake up to an alarm and immediately think "Ugh, I don't want to get out of bed....I hate going to work"
7am - Rush to eat a crappy breakfast (ie cereal, bagel, donut) because I procrastinated getting ready to go to the job I hated. 8am - Get to the job I hated after sitting in traffic that I let myself get angry over. 10am - Crash from my crappy breakfast and eat another sugary snack and/or a sugary coffee for a quick pick-me-up. 12pm - Get permission from a superior to take my lunch break where I would eat more crappy food (ie microwave meal, soda, candy, sandwich, "healthy" salad covered in sugar filled dressing). 3pm - Second crash of the day from my crappy lunch, then grab another quick pick-me-up snack or drink. 5pm - Leave the job I hated to sit in the same amount of aggravating traffic. 6pm - Eat a crappy dinner (ie pasta, fast food, restaurant). Then I would 'relax' for the rest of the evening because I was exhausted from all the toxic thoughts, poor food and drink choices, lack of exercise, etc before going to bed to get and do it all again the next day. More often than not, I had a headache of some sort, a head cold, felt anxious and/or depressed, watched my hair fall out and wondered why. Can you relate? Maybe you've started to notice that you're stuck in this cycle. Read my guest post here that is all about how our negative mindset leads to poor health, but a positive mindset leads to good health. In the post, you'll also discover how to develop and sustain a positive mindset. I want access to the Healthy Freebie Library!